As result of major vendors' successful efforts in lowering inventory level at their distributors, sales of new powered two-wheelers (PTWs) in Taiwan continued a recovering trend in June by increasing 9.99 percent in June from a year earlier, or year-on-year (YoY), and 6.6 percent from the previous month, or month-on-month (MoM), to 70,743 units (55,346 units sold in May), according to statistics compiled by the Ministry of Transportation and Communications (MOTC). Industry sources revealed a common practice among most bigger PTW distributors on the island that distort market reality, by pre-licensing new PTWs to inflate sales volume just to win higher sales bonus from vendors, and then selling the so-called "new-secondhand" models at lower prices to consumers. Such clever strategy, despite artificially boosting distributors' sales volume, however does not show real sales in the overall market. After several months of policy adjustment by vendors, Taiwan's new-PTW market is regaining normality in operations. Major PTW vendors are very optimistic toward the overall market, based on not only continued sales rebound in May and June, as well as the upcoming traditional peak season from July to September, the summer break for students who may buy PTWs before starting the fall term, coupled with fresh college graduates who may also buy PTWs to start work. Some companies forecast that as many as 75,000 new PTWs are expected to be sold in July. 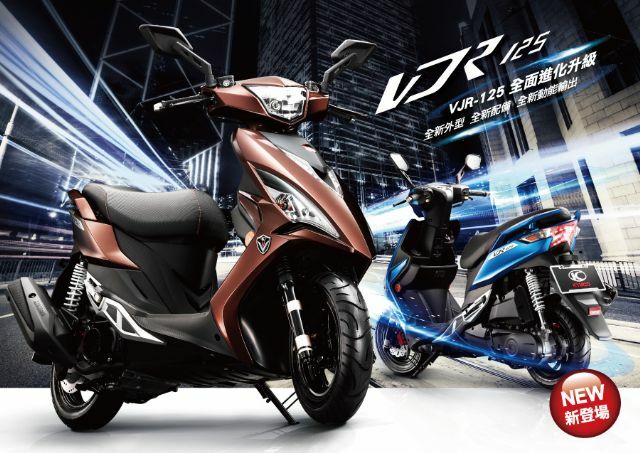 Kwang Yang Motor Co., Ltd. (KYMCO), the largest PTW vendor in Taiwan for the past 15 years by volume sold, retained its lead in June by delivering 29,576 new PTWs (22,627 units sold in May), up 1.79 percent YoY and 30 percent MoM, for a dominant market share of 41.8 percent (40.9 percent in May). Company president Ke Jun-bin expressed satisfaction about such sales performance, and is also optimistic towards sales in the coming peak season. In the first half, KYMCO delivered 139,154 new PTWs. Industry insiders explained that the continued sales rebounds in May and June indicate that PTW vendors' efforts have effectively motivated local distributors to sell the inventory of "new-secondhand" models in the first five months, with the market beginning to return to normality in the past two months. In addition, they added, major vendors' launches of new models have advanced delayed replacement purchases, leading to the 30-month monthly-high volume sold in June (since October, 2010). Several high-profile, new PTW models launched recently include the KYMCO VJR 125, SYM JET 125, Yamaha BW'S R, Yamaha Cyguns X (dual disc-brake version), etc., which are designed to pique interest of younger riders who are in summer vacation. Traditionally, sales in the domestic PTW market starts to simmer from July, as many school graduates, college freshmen, and new college graduates buy transportation vehicles until about September to prepare to return to school or start new career. Sanyang Motor Co., Ltd. (SYM brand, formerly Sanyang Industry Co., Ltd.), which has yielded its long-term No. 2 position to Yamaha Taiwan since 2014, saw a clear improvement in June by registering the highest YoY volume growth of 15.46 percent among the top-3 players. SYM delivered 11,713 new PTWs in June to win market share of 16.6 percent. In the first half, the firm's new-PTW shipments in the domestic market totaled 54,061 units. From early this year, Motive Power Industry Co. Ltd. (PGO brand) has performed like the proverbial surprising underdog by rapidly gaining increasingly higher market share with products featuring high cost-to-performance ratio, often equipped with higher-end equipment, better powertrain but priced similarly to same-class rivals. PGO has been the No. 4 PTW vendor in Taiwan for many years, but in June sold about 4,000 new PTWs, up 64 percent YoY, translating into market share of 5.6 percent, the highest in recent years. Industry insiders also noted that sales of imported PTWs also saw rapid growth in June, especially over-550cc models. About 900 550cc-plus PTWs were licensed in June, of which almost all being imported. Some industry observers expressed worries about the high share of imported models in the big-displacement segment, which is expected to affect sales of models launched by local vendors. Such anxiety may be unjustified since only KYMKO makes a 700cc model, so Taiwanese PTW makers simply are not targeting the big-displacement or 500cc-plus segment as the renowned brands including Yamaha, Kawasaki, Honda, Suzuki, Harley Davidson, Triumph, BMW, Ducati etc.